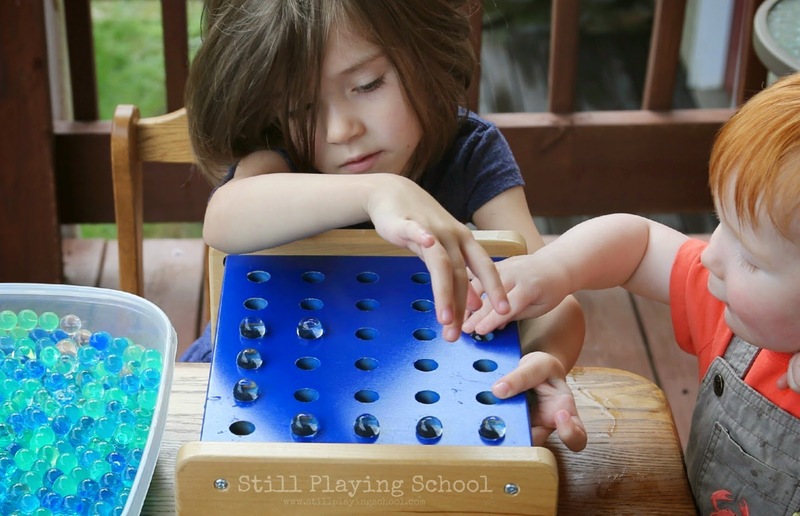 Water beads are irresistible! 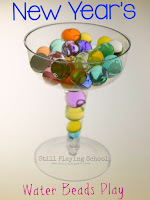 For this invitation to play we provided lots of ways to explore the water beads that involved using fine motor skills. 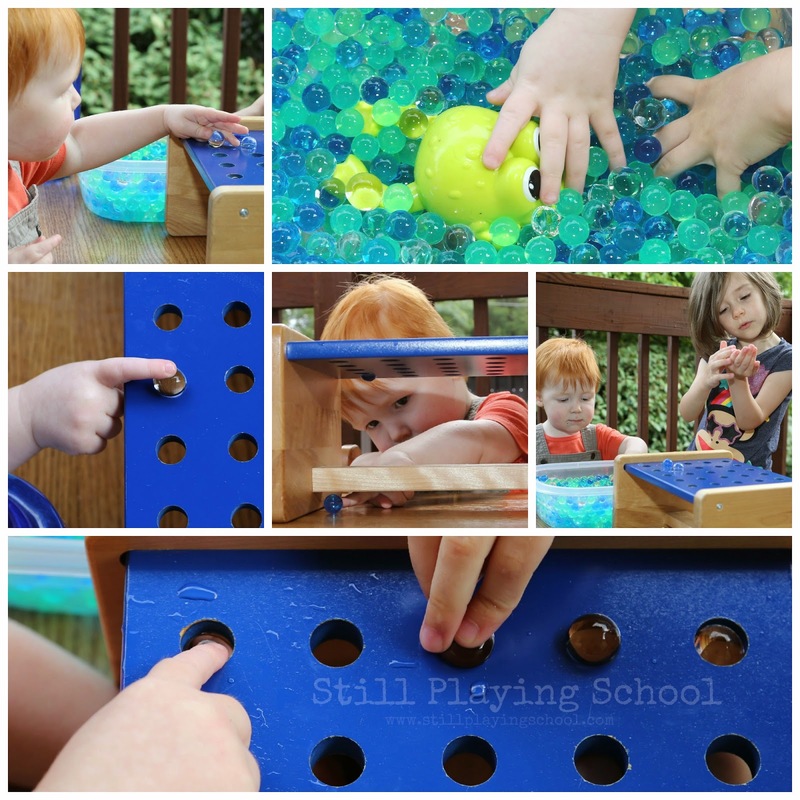 Both our toddler and preschooler wanted to explore the water beads as a sensory experience first! 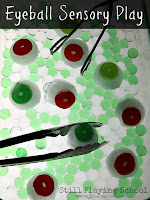 The beads are slippery, squishy, solid, and wet. Investigating the bin full of water beads with all of their senses warmed up their fine motor muscles. 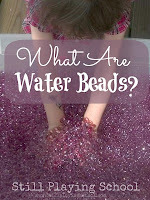 What are water beads? Read about them here! I presented a wooden scissors holder that we found this week at the Lancaster Reuse Center. Not only is this stand perfect for organizing a classroom. 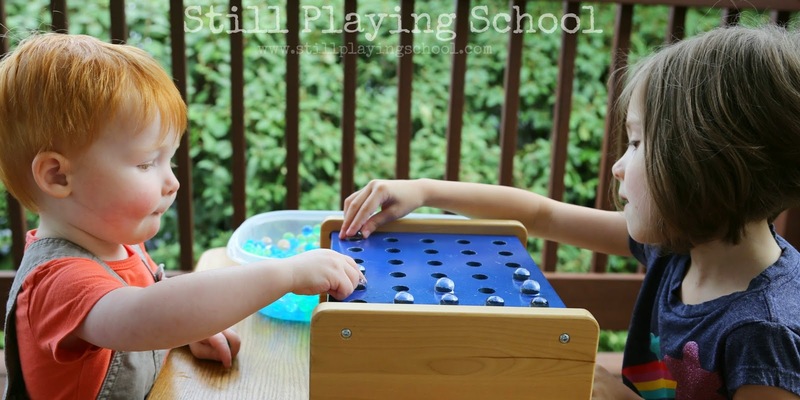 it can also be repurposed for hands on activities like this one. 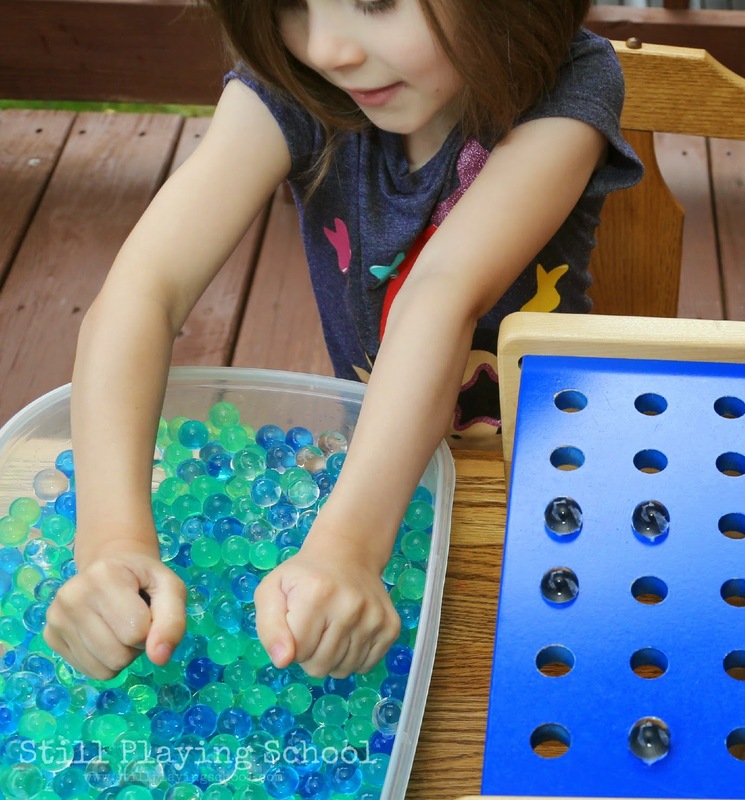 The holder worked perfectly with the water beads because some of the orbs were large enough to sit on top, smaller ones slipped through (and bounced away! ), and others needed a poke to squish through the holes! 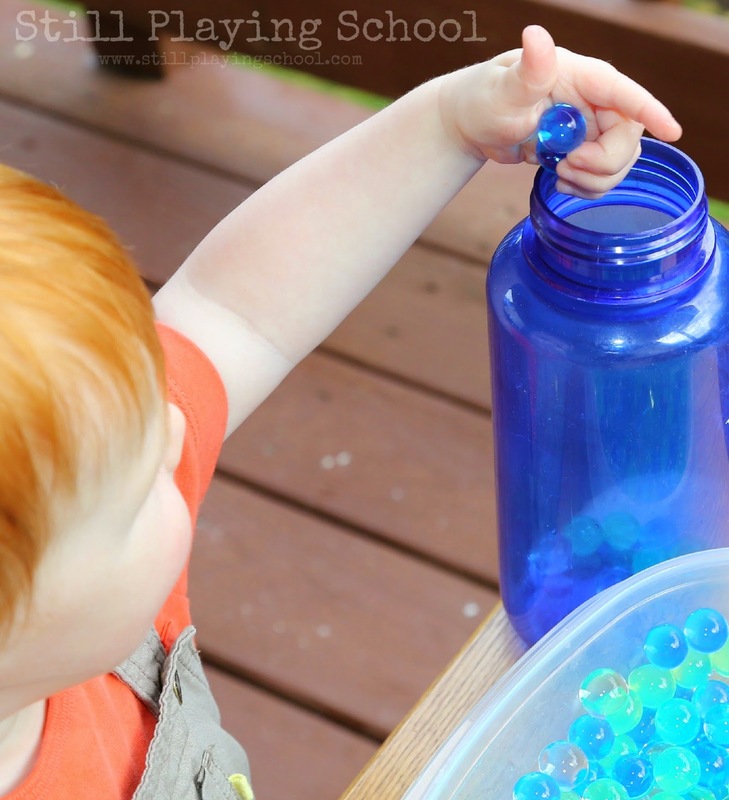 We played a fine motor transfer game when I asked our toddler to fill up a bottle with the water beads. He was excited when he got them in and he also had so much fun chasing the ones he dropped as they bounced all over the deck! We could have continued with this activity beyond the hour that we played. 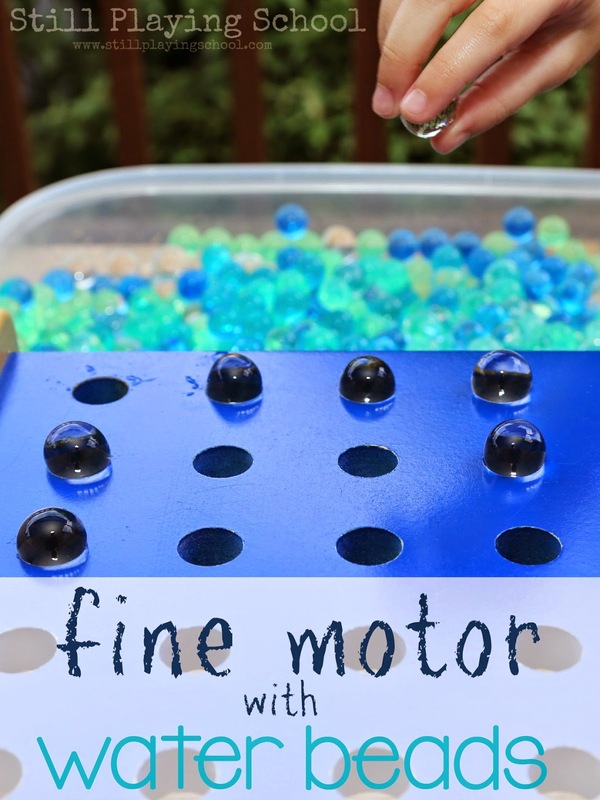 In fact our toddler D threw a fit when it was time to stop this activity to come inside for lunch so I'd say this Fine Motor Fridays idea was a huge hit! 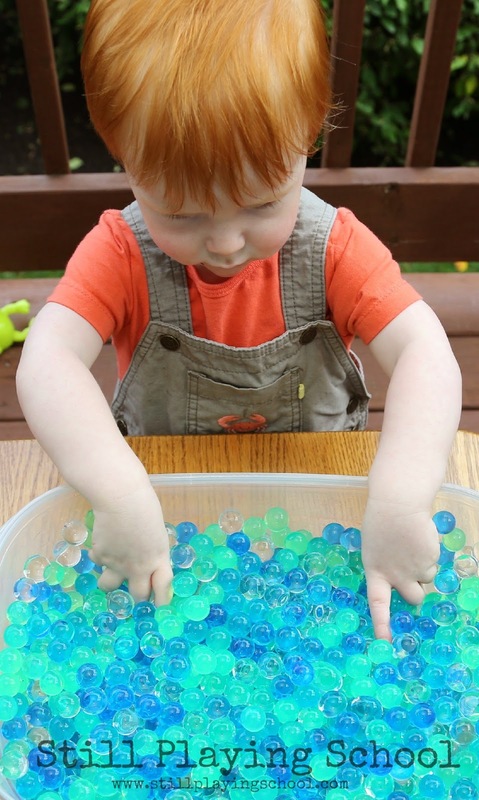 We love water beads too! They are addicting! What is your favorite thing to do with them? You'll have to email me a picture! Too cool!